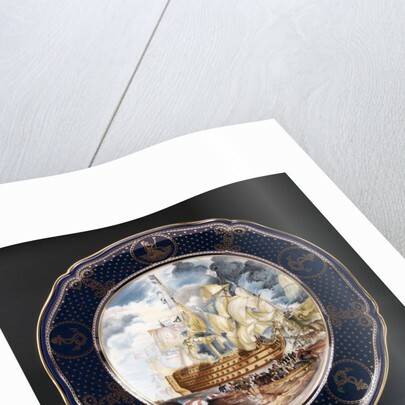 Bone china plate posters & prints by Spode Ltd. 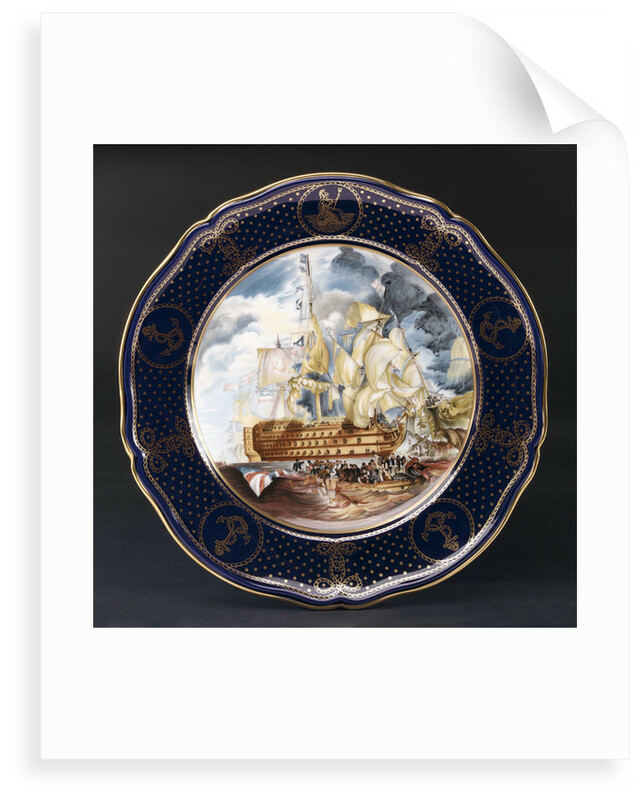 Bone china plate printed with a full colour reproduction of 'HMS Victory' at Trafalgar, after the painting by J.M.W. Turner. The cobalt blue border is decorated with gold stars and a formalised rope design with insets of anchors. Britannia is shown at the top of the picture in the centre. The back is printed with the National Maritime Museum's three anchor crest and the inscription 'THE MARITIME ENGLAND PLATES No. 4. THE BATTLE OF TRAFALGAR, 1805. 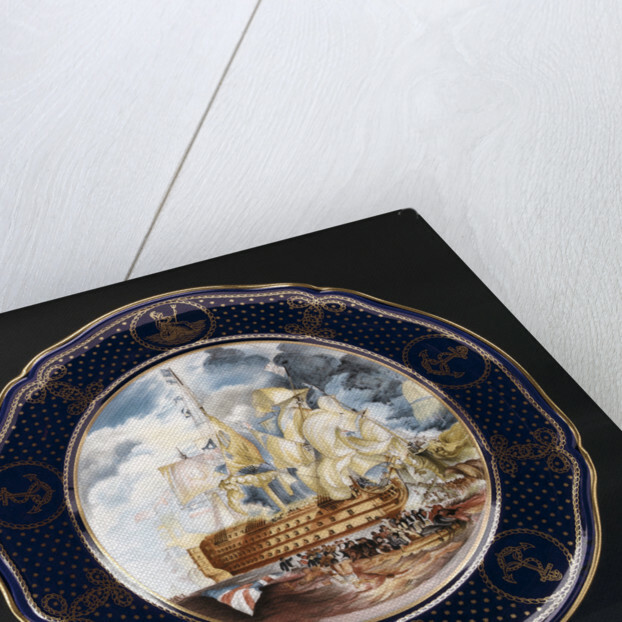 This plate depicts 'HMS Victory', having crippled the 'Bucentaure', flagship of Villeneuve, locked in close combat with the 'Redoutable' whose crew tried but failed to board. 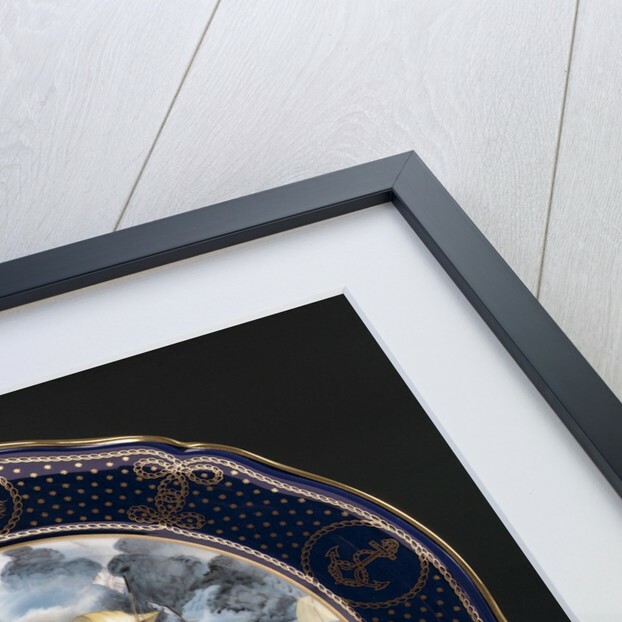 Produced with the approval of the National Maritime Museum, this edition is limited to two thousand plates of which this is number 1181.' The plate is in a red fitted box and has the maker's mark printed on the base. National Maritime Museum, Greenwich, London. Reproduced with kind permission of Spode. More by the artist Spode Ltd..